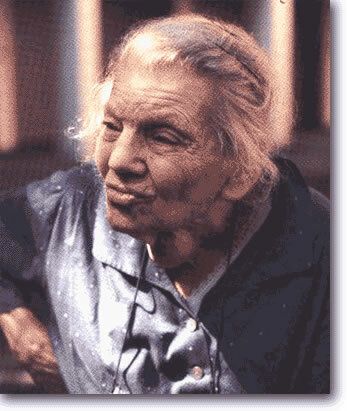 Gertrud Luckner was born in the year 1900 in Liverpool, soon she comprehended the reach of the anti-Semite threat by the National-socialist dictatorship. Since 1938 she had been an employee at the Caritas German Association, after having turned from the Quakers to Catholicism. That was an important condition for her assistance, since the agreement between the Holy See and the German Reich of the year 1933 protected the Caritas activity. From 1940 Gertrud Luckner sent packages to Jews deported from Stettin to Lublin, and later on to the Jews from southern Germany deported to Gurs. In 1941 the archbishop of Friburg, Conrad Gröber, asked her ”the execution of the necessary tasks of special soul priest”, therefore, she was under the bishop’s protection. This granted financial and travel possibilities, which she used intensively for her underground activities. Gertrud Luckner transmitted the messages, requested the forgery of passports and helped refugees run away from Germany. She used the broad network of Caritas to establish contacts with people of other religions willing to help. Since the beginning of the deportations of Jews she tried to help these to hide and guarantee their survival in the underground. She was supported in her activities, among others, by a community of Catholics committed from Fribourg. Nevertheless, soon the Gestapo learnt about the tireless activity of Gertrud Luckner. She was kept under surveillance and due to a report presented to the police on March 24, 1943 she was arrested by ”activity in favor of Jews and contacts with groups against the state”. After many interrogations she was deported during the summer of 1943 to the Ravensbruck concentration camp, where she stayed imprisoned until the end of the war. After the war she worked particularly in favor of the Christian – Jewish dialogue. Anton Maria Keim (Hrsg. ), Yad Vashem, Die Judenretter aus Deutschland, Mainz/München 1983, S.92. Hans-Josef Wollasch, ”Betrifft: Nachrichtenzentrale des Erzbischofs Gröber in Freiburg”. Die Ermittlungsakten der Geheimen Staatspolizei gegen Gertrud Luckner 1942-1944, Konstanz 1999. Michael Kißener (Hrsg. ), Widerstand gegen die Judenverfolgung, Konstanz 1996, S.227f.